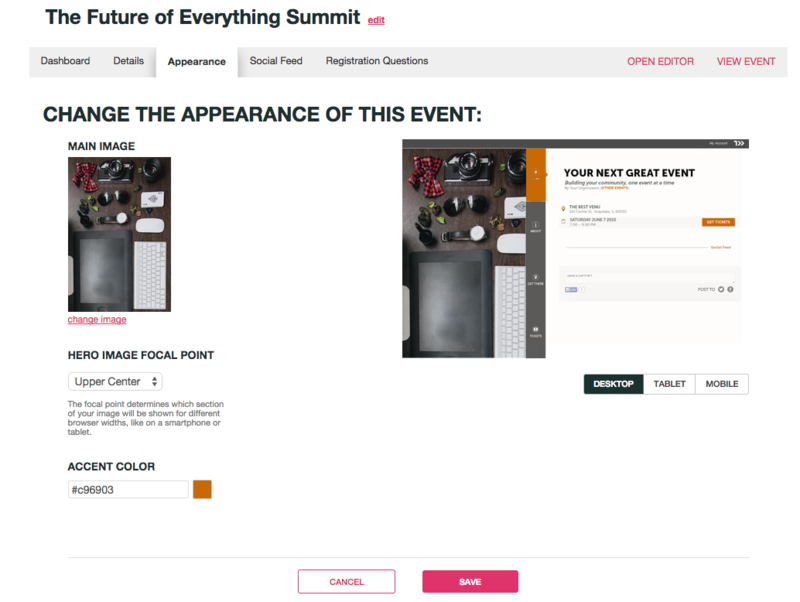 Adding a background image and using accent colors for your event page is a great way to help your ticket buyers visualize your event. Due to the dynamic nature of the image, keep it simple. Use a great photo or abstract image. Logos and flyers won't look as good as you might think. Avoid text altogether. 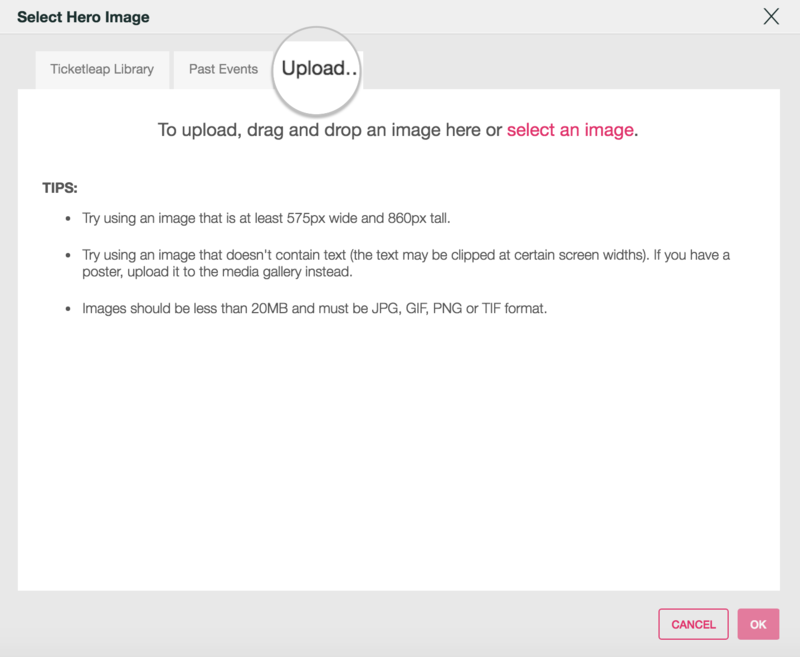 Images should have a minimum height of 860 pixels and minimum width of 575 pixels. This is JUST a minimum and you may have to adjust the size a few times to get the optimal look across all three mediums- desktop, tablet, and mobile. First click the Appearance tab on your event dashboard. 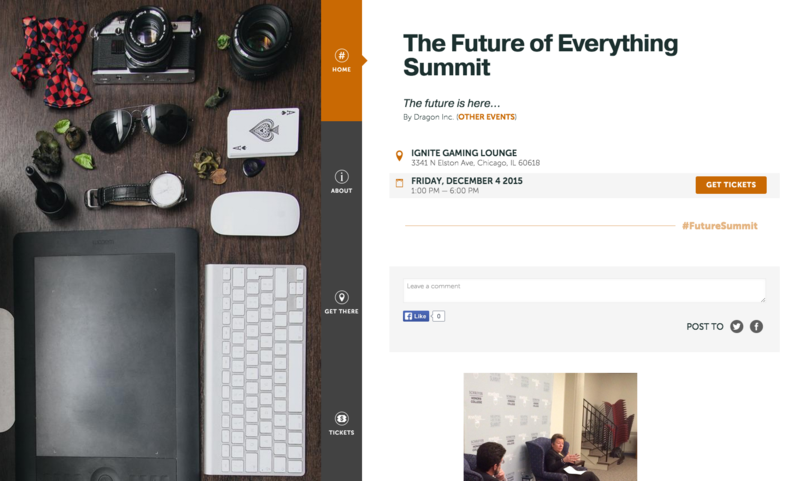 You can preview the event page on a desktop, a tablet and a mobile device to be sure your event page looks right across all devices. Now upload your hero image! You can either upload a new image by dragging and dropping an image into the window or selecting an image saved on your computer. You can also choose a stock image from the Ticketleap Library tab. Make sure to click Submit in order to save your changes. You also have the option to edit the accent color of your event page. This option is also under the Appearance tab. Click on the color splash and a palate of different colors will appear for you to choose from.